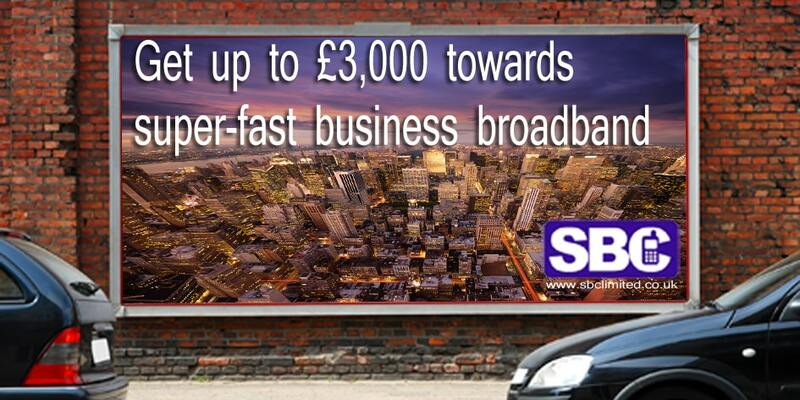 Your business could get a connection voucher of up to £3,000 for faster, better broadband through the Government’s Broadband Connection Voucher Scheme. Broadband Connection Vouchers are now available for 50 cities across the UK. Each local scheme has been designed to best meet local needs and to help local businesses to grow and develop. Connection Vouchers will be made available on a first come, first served basis until 31 March 2016 and will pay towards the fixed cost of getting you connected. Your business is within an eligible area one of the 50 cities taking part in the scheme. You are a SME, registered charity, social enterprise or sole trader. Installation of your new broadband connection will cost over £100. The connection is for your business premises. You can apply for a connection at home if this is your main work base, but this does not apply if you work from home occasionally. The broadband service you select delivers a speed or performance improvement on your current connection. T.here are some detailed requirements on speed that you should check before applying. Simply enter your postcode and we will check what services are available to you.